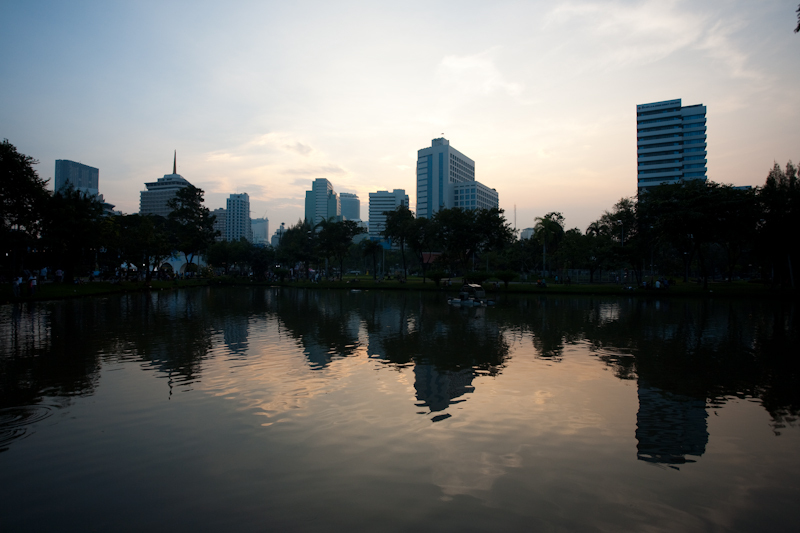 A water monster lurks in downtown Bangkok's Lumphini park at sunset. 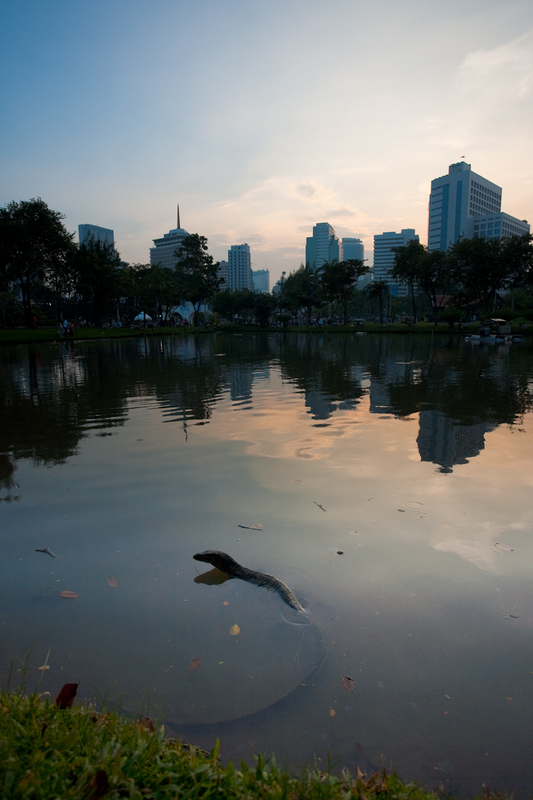 A young monitor lizard swims in the lake at Lumphini park. To see these reptiles wandering around the main public park is a bit off-putting until you realize they're quick to scamper off at the sight of an encroaching human. However, they are known to use their tails as a whip for self-defense. It seems the population of monitor lizards at the park and wandering around the canals of Bangkok have multiplied.